It has been a little over two weeks since Vegan MoFo ended and I have been enjoying my time off. But I’m back and happy to hear I’ve gotten an “award” from Just About Vegan. 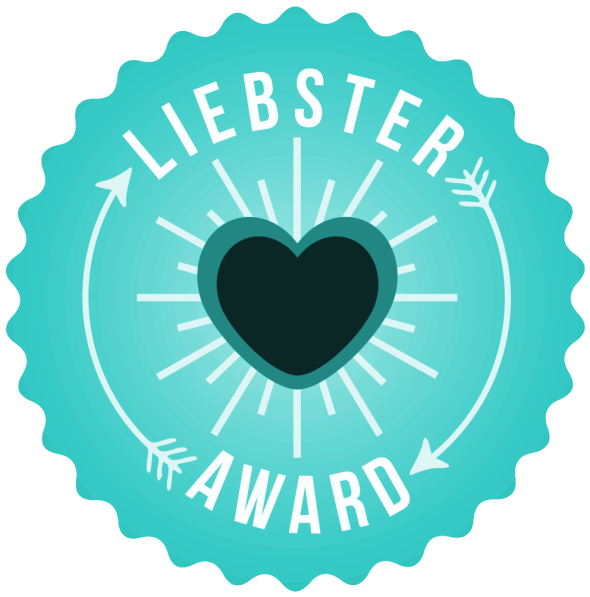 She gave me the Liebster Award which is meant to recognize newer/smaller blogs and form relationships in the blogging community. Now it’s my turn to answer her questions, and choose other blogs to join in on the fun. I couldn’t figure out the amount of followers for the blogs I chose, so I just estimated by the amount of comments on their posts. 1. Describe your fantasy meal. I would love to have a vegan version of pretty much any meal in any Studio Ghibli film. For some reason I just think animated food looks so good, especially anything Asian. So Sen’s steamed red bean buns, Sophie’s large breakfasts, and Ponyo’s ramen with ham would all be on my fantasy meal menu. 2. What’s your go-to easy weeknight dinner? The one thing I usually have ingredients for is chili. Throwing together some canned beans with tomatoes, spices, and a handful of textured vegetable protein is a very easy and filling dinner. Plus it’s easy to mix things up by adding different vegetables or hot sauces each time. 3. How did you learn to cook? I’ve pretty much always had an interest in cooking. I grew up with both an Easy Bake Oven and a Queasy Bake Oven. Once I went vegan, my mom had a hard time figuring out what to feed me. So I soon was making the majority of my own meals. The first few recipes I learned how to make were chili, twice baked potatoes, and carbonara. Reading blogs also helped me to know that it was possible to live vegan and still eat incredible dishes. 4. How do you go about developing a recipe for your blog? I have to have some inspiration spark for a recipe to appear in my head. It’s usually from something I see (omnivore cooking show, food a book/comic character is eating, etc.) or the desperation of combining random ingredients from a nearly bare pantry. I start by listing the ingredients, maybe looking up a few similar recipes (especially if I need certain ratios like in baking), and then just set to cooking. I always have a food-stained notebook nearby to write down measurements, cooking times, and what did or didn’t work out. 5. Have you ever had a kitchen disaster? What did you learn from it, if anything? I once started a small kitchen fire by turning on the wrong burner, which accidentally melted a Tupperware top and caused it to burst into flames. I learned to always double check which burner you turn on, and it’s always stupid to leave plastic things near the stove top. Plus you should always be a good friend and buy your roommate new Tupperware when you melt his. Many life lessons were learned that day. 6. What have you found to be the most surprising thing about being a vegetarian or vegan? I eat way more variety now than I did in my pre-vegan days. Most people view veganism as a very restrictive diet, but I’ve got a much wider palate now than ever before. Before I would have never tried nutritional yeast, seitan, chia seeds, or a variety of other “health” foods that are currently sitting in my kitchen cabinets. 8. How do you tend to navigate situations in which you’re the only vegetarian or vegan? Always bring lots of yummy food. That way you both know you’ll have something to munch on, and can pleasantly surprise others who thought vegans only ate kale and buckwheat. 9. What’s your favorite thing to do on a Saturday afternoon? If it has been a long week, I’ll sit down and watch a few episodes of Adventure Time while knitting. When I am not in the mood to veg out I’ll hula hoop, read a book (mostly fantasy, with a bit of non-fiction thrown in there), or practice some yoga. 10. What is one one thing your readers would be surprised to learn about you? I’m not sure how much crap I’m going to get for revealing this, but Peter and I work part-time at a chicken restaurant. It’s actually a wonderful place to work with fun bosses and coworkers with great live music, though it is sometimes awkward when a customer asks “What’s your favorite thing on the menu?” and I have to say “Umm, the salad?” I know it would bother some vegans, but it’s a way for us to make ends meet and work at someplace we enjoy. Plus I’m eventually going to harass them into adding a veggie burger to their menu. What famous chef would you choose to cook you dinner? What food did you hate as a child and enjoy/tolerate now? If you could only eat three meals for the rest of your life (breakfast, lunch, and dinner), what would you choose? What was the first recipe you veganized? What is the weirdest or funniest reaction someone has had to your vegan choices? Do you have any strange food habits (my food can’t touch, has to all be a different color, etc.)? Which type of vegan substitute (veggie meat, plant milk, etc.) can you not live without? What food item do you prefer to make at home, even if it’s easily bought? What is your preferred dish for sharing with omnivores?